Pursuing your passion and taking on the world (aka being a Passionista) can leave you feeling battered and insecure. That’s why it’s so important to stay centered and grounded. When I’m exhausted and feel that my goals are out of reach, I know it’s time to take a step back, meditate, and do things that energize me. When I recharge, I feel like I can take on anything. Once again I am determined, authentic, and capable. 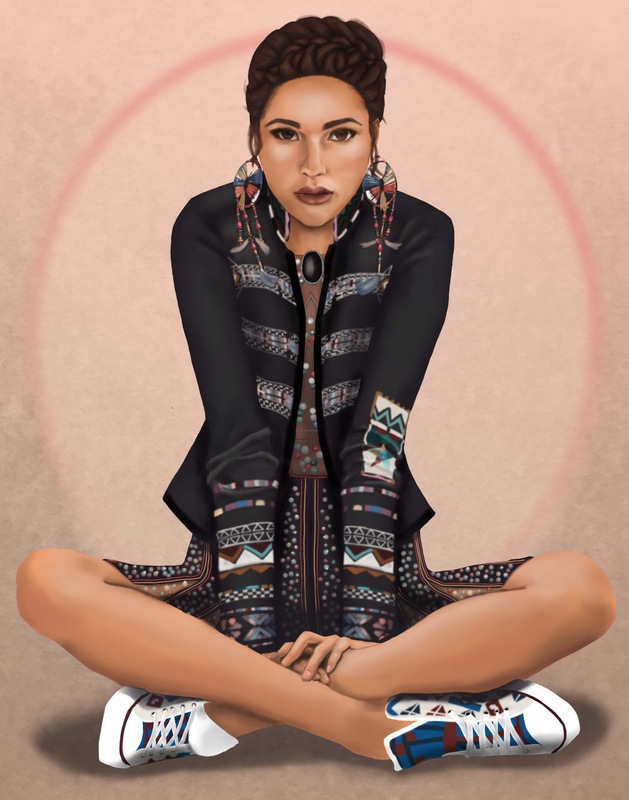 The Passionista in the illustration is wearing a look from Valentino’s gorgeous Resort 2016 collection. You’re too kind. Thanks so much! Wow your illustrations are incredible! Very talented!